You are here: Home / inspiration / Wordless Wednesday // 09.10.2014. Being accepted by others is nice, and it’s generally what we seek whether we’re conscious of it or not. But it’s not everything. 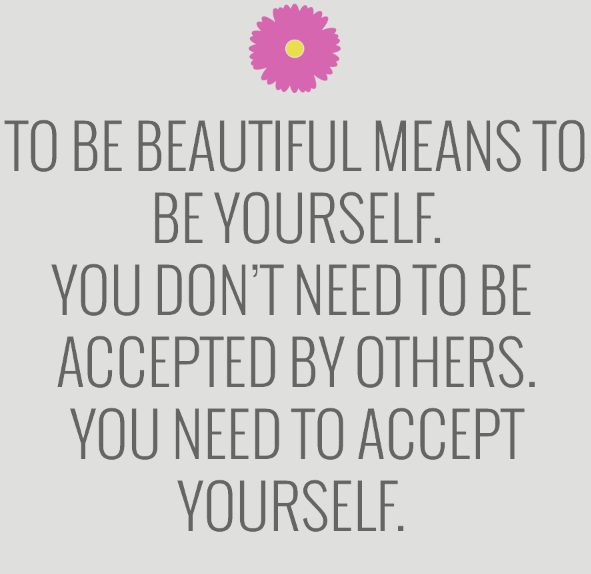 As someone who has had trouble accepting myself for who I am, this quote is a friendly reminder that I’m beautiful just the way I am. And so are you, obviously. Happy Wednesday.